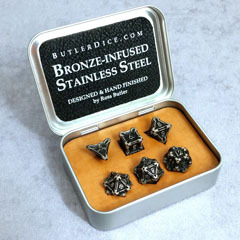 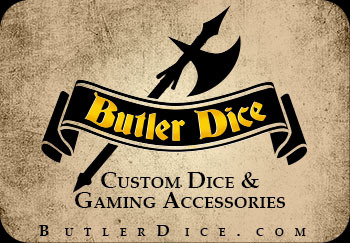 Our steel gaming dice are a favorite among serious gamers around the world. 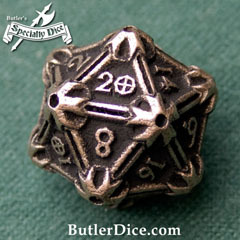 Each die is made using modern 3D printing technology and then meticulously hand cleaned and painted. 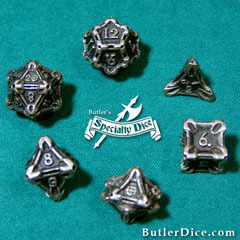 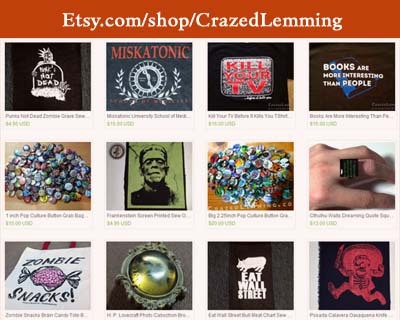 The dice are available exclusively through Crazed Lemming Productions.